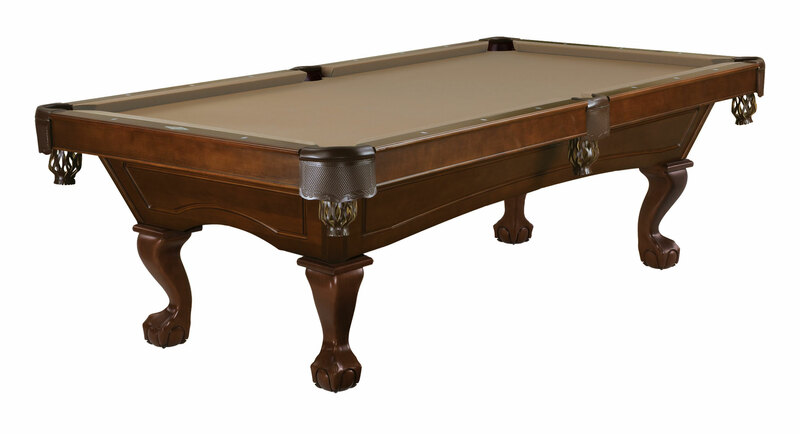 Brunswick’s nut and bolt construction makes your pool table very stable so it will not go “out of level.” With high-torque bolted construction and state-of-the-art heavy-gauge steel fastening systems, the table operates like one solid piece once assembled. The exclusive Brunswick High Performance Nut Plate fastens the cushions, rails, and slate together with at least 70 percent more torque than standard T-nuts used by competing table makers. The table components are so tightly bound that they perform as a single unit. The nut and bolt construction also enables you to disassemble and move your table when needed. The Allenton Billiard Table is made from superior engineered wood material and selected veneered hardwoods.